AUTO PET CAR SEAT COVER home decor, jewelry, decor, decorations, electronics, fountains, floor mats, art glass, vases, garden essentials, fireplace screens. Protect your car's upholstery with this universal car seat cover. 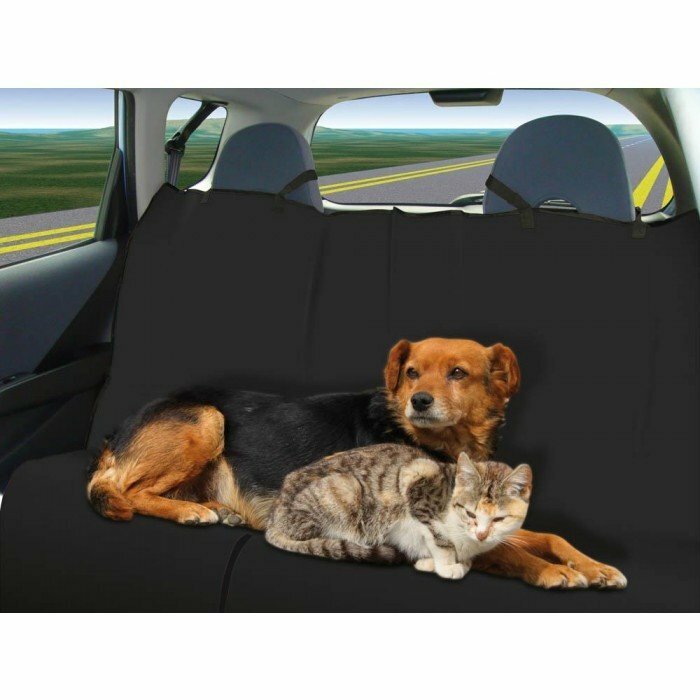 Simply lay it over your seats and let your dog or cat lounge without worrying about rips, tears, or tufts of hair sticking to your car seats. It's waterproof, machine washable and fits to any size vehicle. Washing instructions: machine wash in cold water with mild detergent. Line dry, do not place in dryer. Do not use bleach. Material(s): NYLON METAL MESH. Weight	1.4 pounds. Dimensions	57" x 54" x 0".